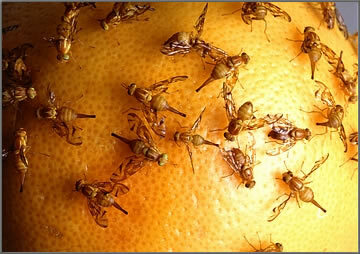 Farma Tech International Corporation begins extending patent protection for its new fruit fly monitoring formulation to Europe, Mexico, China, and India. Farma Tech International supports the efforts of both private farmers and international agencies in monitoring and control of pests of economic importance. For over a decade Farma Tech has provided state of the art semio-chemicals and proprietary controlled release products to attract and capture fruit flies and other pests. FT receives US EPA Registration for the FT Methyl Eugenol Short Lure. FT applies to extend its Manufacturers Use registration for FT-Methyl Eugenol to include additional sources. Copyright © 2007 Farma Tech International Corporation . All rights reserved.